There is a quaint sameness to the many small towns that time seems to have forgotten along Route 66, that thread of bumpy, historical road that has stitched together a vast cross-section of America for the better part of 80 years. 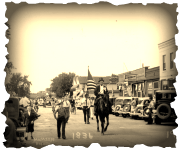 One of these towns - Wilmington, Illinois - still holds the hearts of those smitten with that by-gone era. Located just 60 miles south of the big city of Chicago lies a hometown that prides itself on family values, virtues, and hard work in a relaxing atmosphere. 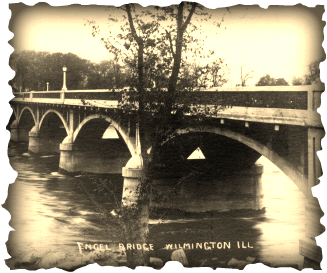 Wilmington is nestled in the middle of the beautiful Kankakee River Valley. Much of its beauty and charm is attributed to the ideal location on the Kankakee River. The Kankakee River's northwest flow makes it a rarity among Illinois Rivers. Outdoor recreation is perhaps the biggest attraction the Wilmington area has to offer. The Wilmington neighborhood offers boating and fishing, and the nearby Des Plaines Conservation Area has 4,500 huntable regions. Wilmington is a city that takes pride in its heritage. Settled in the early 1830's, Wilmington was incorporated as a municipality in 1876. The city features historic buildings that date back to the mid 1800's. Attracting collectors from all over are the numerous downtown Antique Shops. Wilmington combines all the best aspects of rural and suburban living, outstanding recreational opportunities, rich farmlands, quality public services and an active business community; all within the quiet pace of the city. In 1834 Thomas Cox, one of the earliest settlers of Will County, acquired from the government about 400 acres of land. He built a sawmill, and later a corn cracker, a gristmill, and a carding machine. The enterprise took on the name Cox’s Mills. In the spring of 1836, Cox laid out the town of Winchester and began selling lots for homes and businesses. One of the first buildings to go up, which still stands today is the Eagle Hotel. In 1837, the town was renamed to Wilmington.